The law firm of James S. Friedman, LLC, has considerable experience representing defendants in appeals of Federal and State convictions to the Appellate Division of the New Jersey Superior Court, and the United States Court of Appeals for the Third Circuit. Appellate attorney James S. Friedman has also been admitted provisionally in other jurisdictions to represent criminal defendants on appeal. He has the skill and experience necessary to craft effective legal arguments in support of an appeal from any criminal conviction. The criminal defense firm of James S. Friedman, LLC, is committed to obtaining favorable results for its clients in criminal trials. The firm is equally committed to providing aggressive and effective representation in criminal appeals and other post-conviction matters. If you were convicted of a State or Federal crime, you may have the right to seek appellate review of the trial court's handling of your case. On appeal, a panel of appellate judges will analyze the issues your appellate attorney brings to its attention in order to determine if the trial court's actions were fully consistent with all applicable laws and procedures. Your appellate attorney will seek to overturn any conviction that was tainted by the violation of a constitutional provision, statute, court rule, or applicable case law. Your case may then be returned to the trial court for further action that may result in, among other things, a reduction of any sentence previously imposed or a dismissal of the criminal charges. 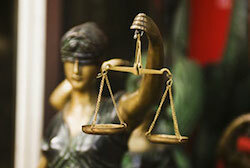 Trial attorneys and appellate attorneys perform very different roles. James S. Friedman has substantial experience in both areas. As a seasoned trial attorney, he is fully familiar with the procedural rules that impact upon the representation of criminal defendants in our trial courts. This experience enhances his ability to spot errors that can result in unjust convictions. As appellate counsel, he knows how to research and carefully craft persuasive appellate arguments and present them effectively to appellate courts. Further, the manner in which any appeal must be managed will vary greatly depending upon the court hearing the case. The State and the Federal systems each have their own appellate courts. These courts, in turn, each have different rules, procedures and timeframes governing the matters they hear. A good appellate attorney will be sensitive the manner in which different local practices will impact upon their client's appeal. As a threshold matter, there is a limited time to file an appeal. Generally speaking, this time period commences when the defendant is sentenced. The length of this time period varies from jurisdiction to jurisdiction. The defendant's appellate rights may be lost once it expires. All defendants need to act quickly to commence their appeal within this time period. If you have been unjustly convicted or received an unduly harsh sentence in a State or Federal trial court in New Jersey, contact appellate attorney James S. Friedman online or toll free at 800-361-6554 to discuss your appeal.